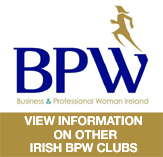 In Ireland the first BPW club was inaugurated in Howth, Co. Dublin in the early 1960s. Very quickly other clubs were established and the National Federation was formed. Currently there are four clubs in this country. 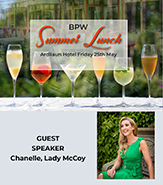 BPW Galway was founded in 1986. The founding member and first President was Mrs Breda Ryan. Our chain of office was sponsored by the Bank of Ireland and was supplied by Hartmanns of Galway. Since 1986 BPW Galway has grown from a core group of 25 to a current membership, of 100. 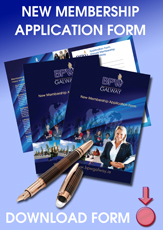 From its inception BPW Galway has always striven to hold true to the ethos and value system of BPW International. A vibrant organisation dedicated to working women which has Clubs throughout the World. BPW was founded over 80 years ago and is a powerful voice for women on an International stage. 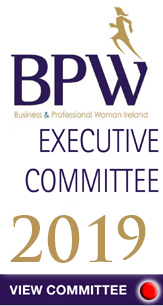 BPW Galway is one of these Clubs, made up of women in business and the professions, who come together to learn from each other, support each other, advocate for women generally while enjoying the company of fantastic women. Membership is open to women who are either in the workforce or have been in the workforce (retired, career-break etc. ), whether employed or self-employed. There is no age limit or barrier to membership. • Local Friendship – BPW Galway is a very welcoming and sociable Club where women of all ages meet to discuss issues of importance, share ideas, support each other and learn from each other. We have a full calendar of very enjoyable events for all ages and interests. • Worldwide Friendships – Members from five continents connect through BPW. 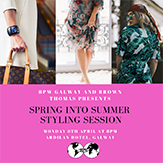 In May 2019, we will host BPW Delegates from all over Europe in Galway. • Leadership Development – by becoming involved in the work of the Club, helping at Events, taking on leadership roles at Club, National or International levels, BPW helps to develop leadership skills in a supportive environment. • A Strong Voice – founded in the 1920’s, BPW has grown to become a highly influential organisation internationally with Clubs in over 100 Countries with more than 50,000 members worldwide. BPW enjoys Consultative status at the UN and Council of Europe and is a founder member of the National Women’s Council of Ireland. So, by being part of BPW, you too can have a strong voice where decisions are made that impact us all both at home and abroad. What will I get from my Membership? What will be expected of me as a Member? In 1977, the IFBPW was accredited to the Council of Europe and received consultative status along with some 200 NGOs. Marcelle Devaud was nominated Permanent Representative and Michelle Laublé (both of France) her alternate. In the course of the 1960s and 1970s, several relatively informal international meetings were held for German speaking and some for francophone BPW. There seemed to be a general desire for contacts and cooperation across national borders. Michelle Laubé, then President of the Strasbourg Club, invited all European BPW Presidents and interested members to the 1st European Conference which took place in September 1981. In October 1985, the 17th International Congress of BPW International in Auckland, New Zealand, voted to set up five regions, headed by Regional Coordinators. Marian Waats was elected to this position for Europe. In September 1990, through the hard work of women such as Marcelle Devaud and Emilienne Brunfaut, the European Women’s Lobby was founded in Brussels. BPW is a member of the European Women's Lobby and Renata Blodow was the first delegate of the European Federations of BPW to the EWL. In 1981, the presidents of the European Federations of BPW International decided to create the European Coordinating Committee to support the work of Regional Coordinator. In January 2009, the presidents of the European Federations of BPW International created a legal structure to run common projects at European level : BPW European Coordination AISBL (association internationale sans but lucratif - international non profit organization). The executive Board is made of the European Regional Coordinator and members of the ECC.